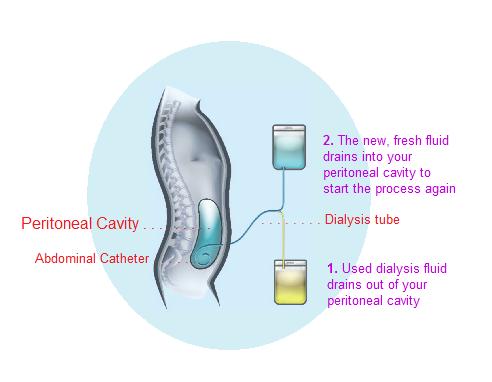 This is a form of dialysis that the hospital will teach you to do yourself at home. The peritoneum is a natural membrane lining your abdomen and surrounding most of your organs. It has a very good blood supply and can be used as a filter. © courtesy of Guy’s and St Thomas’ NHS Foundation Trust.